Every dataset in the observable universe has a fundamental geometry or shape to it, but that structure can be highly complicated. To make it easier to visualize complicated datasets, a Dartmouth research team has created HyperTools— an open-source software package that leverages a suite of mathematical techniques to gain intuitions about high-dimensional datasets through the underlying geometric structures they reflect. The findings are published in the Journal of Machine Learning Research. "The datasets we're faced with as modern scientists can be enormously complex, often reflecting many interacting components," explains senior author, Jeremy R. Manning, an assistant professor of psychological and brain sciences and director of the Contextual Dynamics Lab at Dartmouth. "Our tool turns complex data into intuitive 3-D shapes that can be visually examined and compared. Essentially, we are leveraging the visual system's amazing ability to find patterns in the world around us to also find patterns in complex scientific data." The researchers demonstrate how HyperTools can be applied to various types of data. In the paper, they showcase visualizations of: brain activity, movie frames and brain responses to watching those frames; changes in temperature measurements across the Earth's surface from 1875 to 2013; and the thematic content of political tweets issued by Hillary Clinton and Donald Trump during the 2016 US presidential campaign. HyperTools generated visualization of changing temperatures across the Earth's surface from 1875-2013. Visualization highlights the cyclical (seasonal) nature of global temperatures that occurs alongside a gradual increase in global temperatures over time. Image is among those included in Figure 1 of journal article. 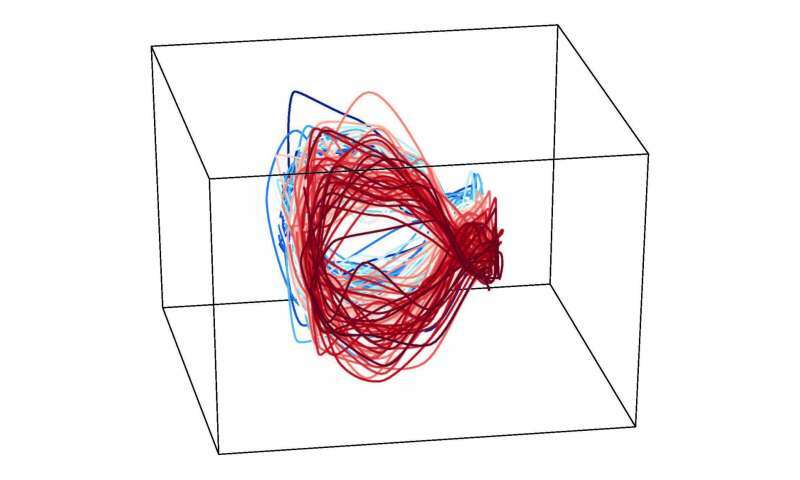 Credit: Static image by Contextual Dynamics Laboratory, Dartmouth College. As part of the HyperTools toolbox, Manning's lab continues to develop and release other types of geometric visualization analyses, including the recently launched text analyses. Visualization using HyperTools to represent the content of journal articles. Each dot represents a single paper published in Neural Information Processing Systems (NIPS). The dot positions reflect what the papers are about (nearby dots are about similar topics), and the dot colors reflect automatically discovered "clusters" of papers that are about similar themes. 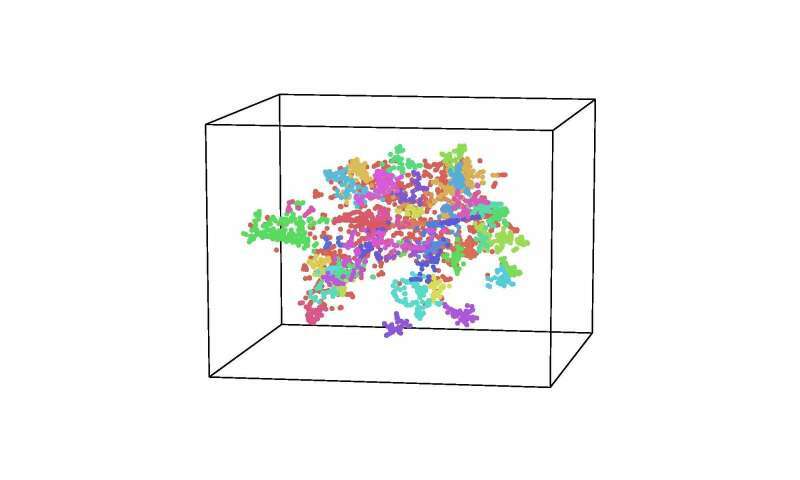 Credit: Contextual Dynamics Laboratory, Dartmouth College.